This July I'm organizing a Street Retreat in New York City. It's a Zen practice in which I spend four days homeless, with a small group of fellow Buddhists. We'll live, sleep, and meditate on the streets together and eat at soup kitchens. I do these retreats yearly. Sometimes I lead them; this time it'll be led by Genro Roshi. We try to blend in with the homeless population. Sometimes street folk ask who we are and what we're doing, so I explain it. Without exception they appreciate the effort we make to walk a mile in their shoes. People often ask me if we're competing with homeless people for scarce resources. We don't—we stay at the back of the line in soup kitchens, and we sleep on sidewalks instead of in shelters. 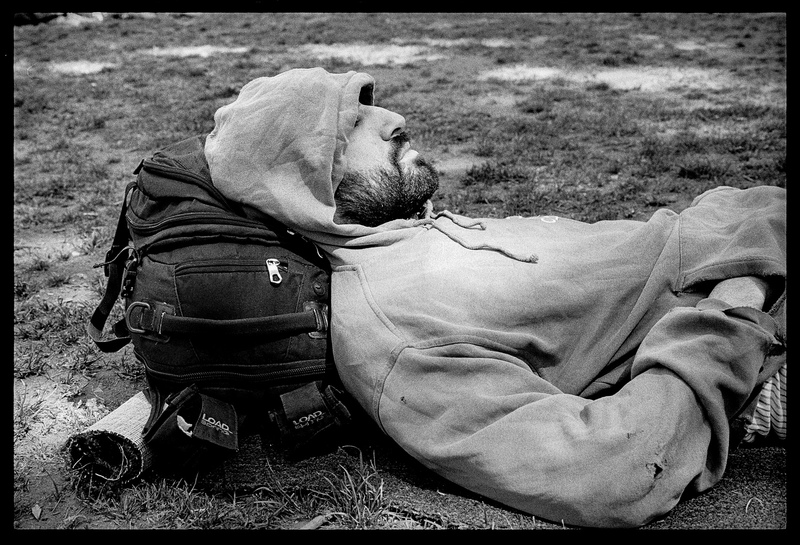 Sometimes we beg for a few dollars on the street, but we always raise thousands of dollars for homeless services. That's where you come in: I have to raise $500 by July 20. The money will be distributed among the organizations that help us while we're on the street, places like the Catholic Worker, Coalition for the Homeless, and the Bowery Mission. And some of the money will support the social service activities of the Hudson River Zen Center. I'm not allowed to just use $500 of my own. I have to be humble and ask for the money from you.